Molineux was one of few English grounds that could boast about having floodlights in the mid-1950s, and this led to a series of night-time friendlies against illustrious foreign opposition for Wolves during that period. 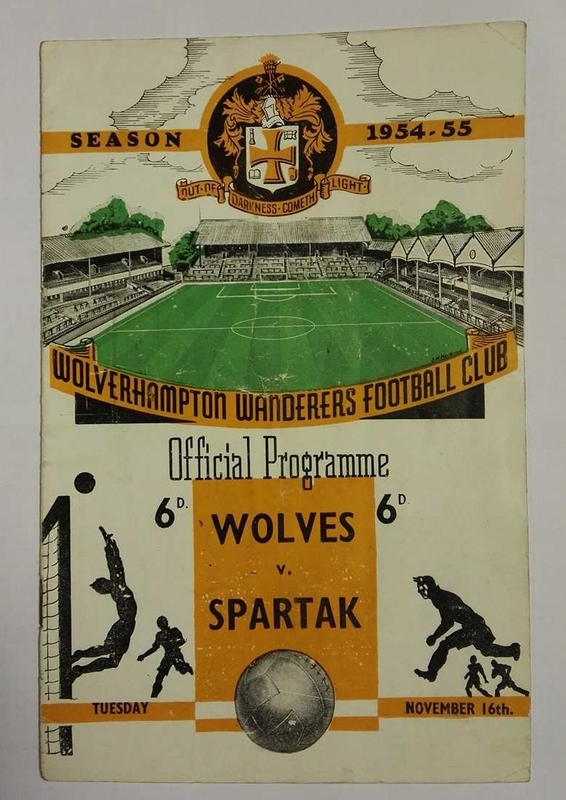 Spartak has defeated Arsenal days earlier at Highbury, so it was down to Wolves to restore English pride which they duly did running out 4 – 0 winners after four goals in the final ten minutes of the game. 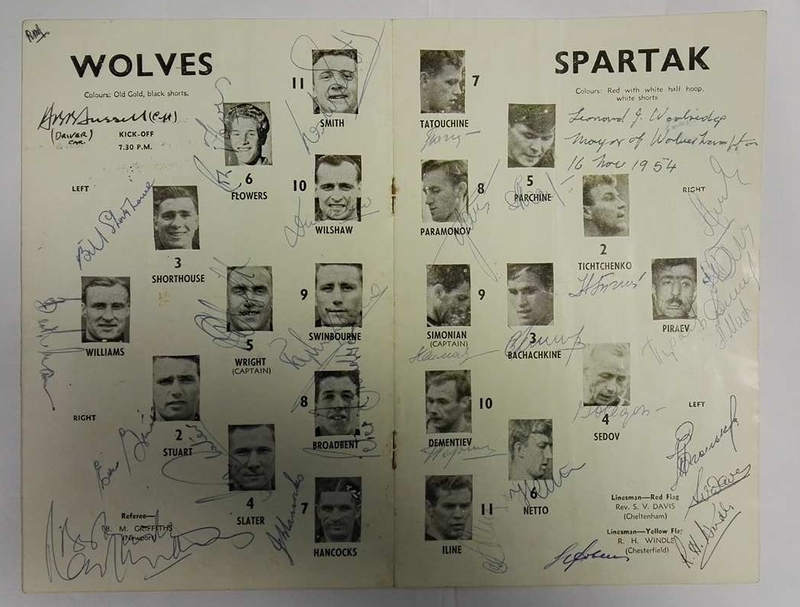 This programme has been signed by both squads – we also have some items from the Dynamo Moscow friendly here.